Are you confident talking to customers, enjoy the face to face contact and can deliver excellent customer service? If so, you may like to apply for one of our Sales advisor positions in one of our bright modern Trade Counters. We are looking for ambitious individuals to join our rapidly expanding retail team. You will be the face of the company, offering the very best customer service possible and making our showrooms a place people want to come back to. Our branches are open from 7.00am (6.45am start) until 8.00pm on weekdays, open 8.00am (7.45am start) until 6.00pm on a Saturday and 10.00am (9.45am start) until 4.00pm on Sundays. 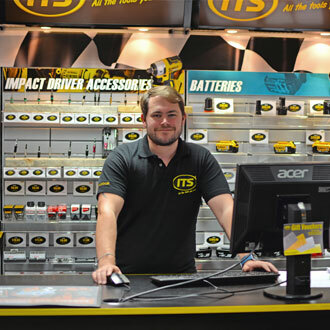 Established in 1979, we have grown to become one of the UK's largest independent suppliers of professional power tools, hand tools and related products. Renowned for our customer service, our main aim is to exceed our customers expectations, and you'll be an integral part of this! As part of our continued retail expansion we are looking for dedicated, ambitious and hard-working staff. After this, how far you go within ITS is up to you! If you're passionate about retail and share our vision for customer service please apply below. We look forward to hearing from you!